At first glance, Blue Max looks like Zaxxon with a biplane. However, unlike Zaxxon it's a heck of a lot easier to control your plane (a Sopwith Camel) and you can judge the height more easily using the shadow of the plane. 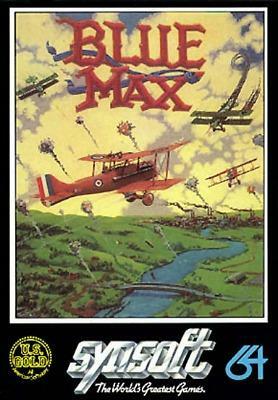 Blue Max was developed by Synapse Software for the Atari and C64 and released in 1983. 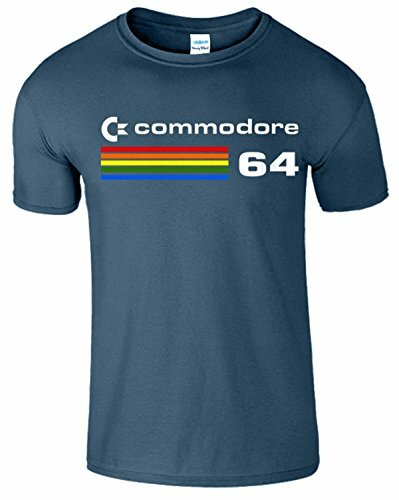 It was ported to the ZX Spectrum on the U.S. Gold label in 1984. You can see a review of all three versions in the video review above. A cartridge version for the XE video game system was also released. Later in 1984, Synapse was bought out by Broderbund Software due to financial troubles, apparently caused by Atari not paying a bil for 40,000 units of software. 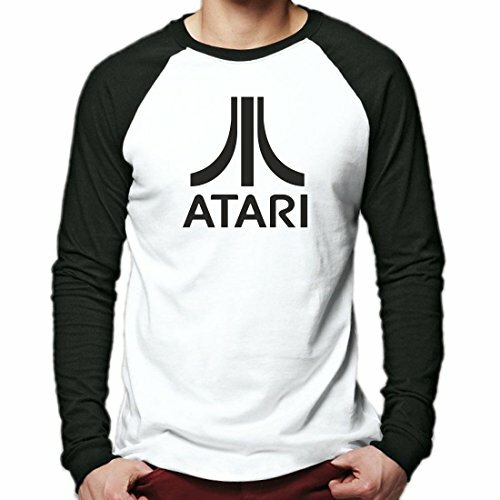 I really enjoyed playing this game (I was in my early teens at the time) which was one of the most popular action games of 1983. 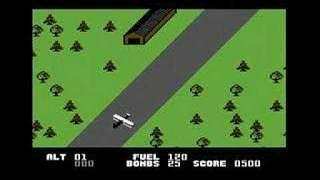 The missions were uncomplicated but challenging, and you basically had to bomb ground targets and shoot at your airborne enemies. You could also also fly low and take part in strafing (air to ground attacks) and also fly under bridges - great fun! Runways would appear from time to time (an L would appear on the status bar for a friendly runway) on which you could land , refuel/repair and take off again. You had just the one life, so it was vital not miss a runway when you were low on fuel or had taken a battering from enemy fire. Talking of which, your plane could take up to 4 flak hits, but would be destroyed by a fifth hit. The sounds effects in the Atari 8-bit version that I played, at least, sounded pretty realistic (for a 1983 game) and really added to the games ambience. The explosions were particularly ear-blasting! The graphics were nothing to write home about and the scenery was rather sparse, although they were in a high resolution. The gameplay more than made up for this and displaying additional scenery in an 8-bit game would probably have made the diagonal 2D scrolling more juddery. The programmers had managed to get the balance just right, and the scrolling was randomised which created more unpredictable and challenging gameplay. I've only ever played Blue Max on the Atari 800XL, but for this version, at least, the controls were very responsive. The reviewer in the video suggests that the ZX Spectrum version was the least responsive out of the three. With the machine's inferior components that was to be expected, I suppose. 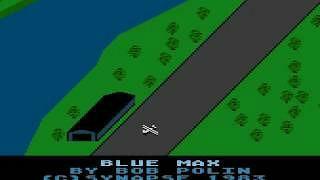 Overall, Blue Max was one of those never-ending games that sucked away the hours as you tried to beat your last high score. It was certainly one of the most enjoyable games I played on an 8-bit computer, and receives a 9/10 from me. The Atari 8-bit cassette version distributed by U.S. Gold.